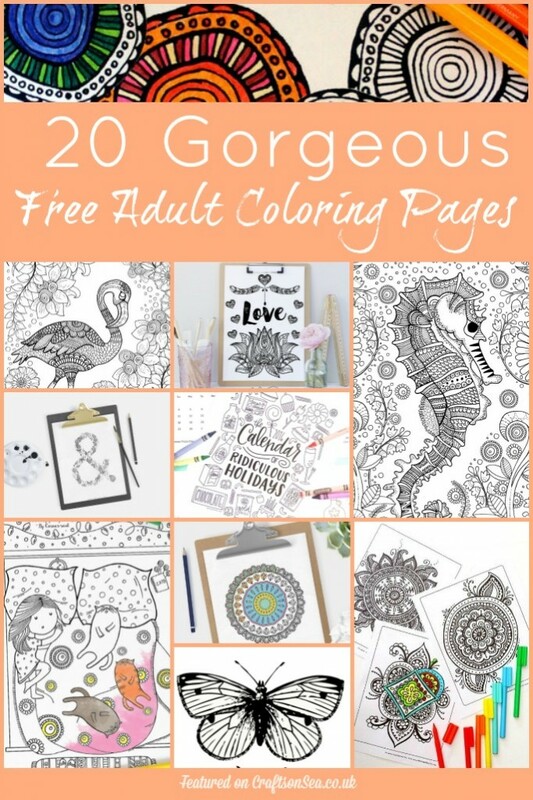 The craze for adult coloring won’t seem to stop and as you guys seem to love free adult coloring pages and I love finding them for you I thought I’d share some more today! There’s animals, flowers, mandalas and loads more. Hope you like it! I’m always on the look out for gorgeous coloring books and at the moment I have my eye on this beautiful Butterflies and Flowers coloring book , this Disney Animals Coloring Book (although I think my kids would want a go too) and the latest Harry Potter Coloring Book ! You might also like my round ups of free animal coloring pages for adults and my original round up of free coloring pages for adults and don’t forget to follow my board on Pinterest too!